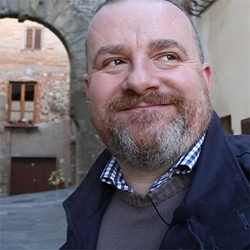 Luca Marchiori looks at the origins, varieties and ways of eating Italy's most famous food. It’s a truth quickly discovered by visitors to Italy that the country has no national cuisine. 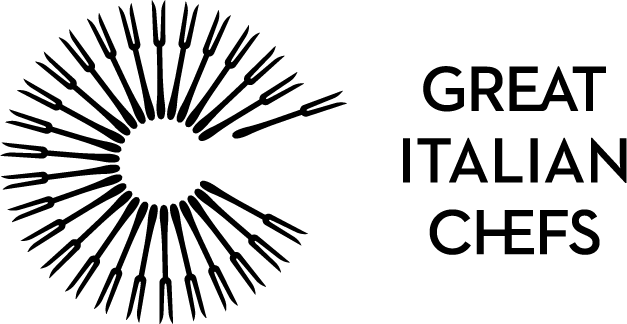 Italian food is very regional, with the availability of internationally famous dishes usually limited to their place of origin (some, such as spaghetti Bolognese, aren’t even Italian). As a rule, Italians prefer to eat their native region’s cuisine at home, only enjoying specialities from other areas while travelling. There is, however, one notable exception. There is one dish that has managed to transcend the many internal borders of the nation and to take on the status of a cultural icon. It’s the dish which you are likely to find in every town, village, and hamlet up and down the Italian peninsula. It is, of course, pizza. Italians are crazy for pizza, and why not? The basic combination of cheese and tomato results in the classic umami taste we’re so fond of. The wood-fired oven, considered essential for cooking the perfect pizza, is traditional in most Italian regions. 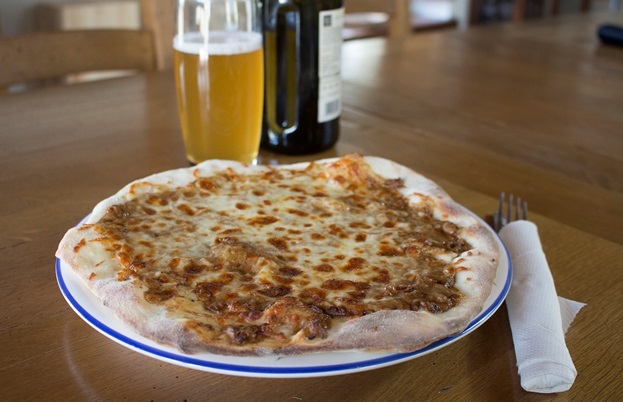 Despite Italy being a country of only 60 million people, an estimated 56 million pizzas are eaten every week! In the last sixty years or so, for most Italians pizza has become a Sunday evening ritual. It’s the time when you can leave the house, give the kitchen a rest and try to forget that the weekend is almost over. I wouldn’t advise turning up at any pizzeria on a Sunday night without a reservation. 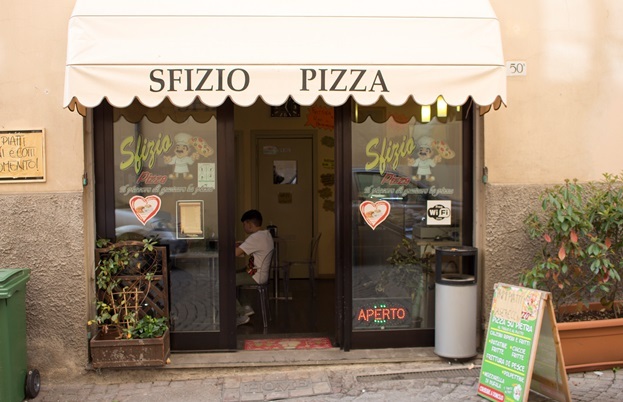 In the small Tuscan village where I live, the local bar becomes a pizzeria every weekend. On Sunday night the large restaurant area, dark for the rest of the week, becomes a stage for people to recount the dramas of the past seven days to their friends and families. If the village football team have won, they’ll be there celebrating and toasting the coach for permitting them a cheese-topped indulgence. Even the parish priest makes an appearance, relaxing after his busy day. Despite Italy being a country of only 60 million people, an estimated 56 million pizzas are eaten every week! It’s sometimes claimed that the pizza is not really an Italian dish, but that it was brought to the country by Italian-American soldiers during World War II. Considering that the popularity of pizza is a post-war phenomenon, this sounds convincing, but a little investigation blows the theory out of the water. The first piece of evidence is the pizza margherita. In the late nineteenth century there was a fashion for naming things after the Italian Queen Margherita whenever she went on a visit. The medieval panforte from Siena came to be known as panforte margherita following her visit to the city. In 1889, she visited Naples and was served a patriotic red, white and green pizza—cheese, tomato and basil—by a certain Raffaele Esposito. It bears her name to this day. Secondly, flatbreads feature in many Italian regional cuisines. These are often eaten with cheese and other fillings inside or on top. There’s Ligurian focaccia, Romagnan piadina, Umbrian torta al testo, Tuscan schiacciata to name but a few. Most tellingly in Calabria there is pita, which comes from the Middle Eastern word for flatbread and is very close to the word pizza. There's even evidence that the Romans consumed flatbreads in this way. In the epic poem Aeneid, written in the first century A.D., there is a moment when the hero and his band arrive in Italy and are dismayed to discover they only have stale bread to eat. Their quick-thinking leader orders them to go foraging and then to eat what they find on top of the bread. The men are so taken with the idea that Aeneas’s son exclaims excitedly, ‘we’re even eating the plates!’. Ask Italians and they’d say that pizzas are from Naples and originated as street food in the city. When you consider that a pizza will cook in a wood-fired oven in under two minutes, they could be considered the original fast food. Both of the essential ingredients of a standard pizza—mozzarella cheese and tomato sauce—come from Campania, the region where Naples is located, and all over Italy you will see signs touting la vera pizza napoletana (real Neapolitan pizza). There are two common ways of serving pizza. The first is as pizza al taglio (sliced pizza). Eaten as street food, this tends to be rectangular with a thicker base to facilitate eating on the move. 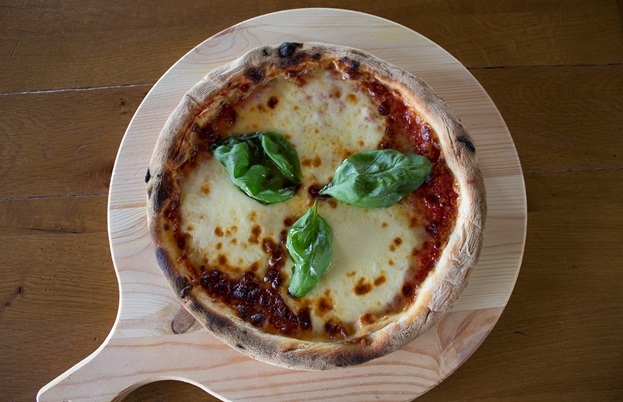 The second is more familiar; round pizzas are served in restaurants with a much thinner and usually floppy base. People eat these with a knife and fork, but it’s also considered acceptable to cut it into triangular slices and use your hands. 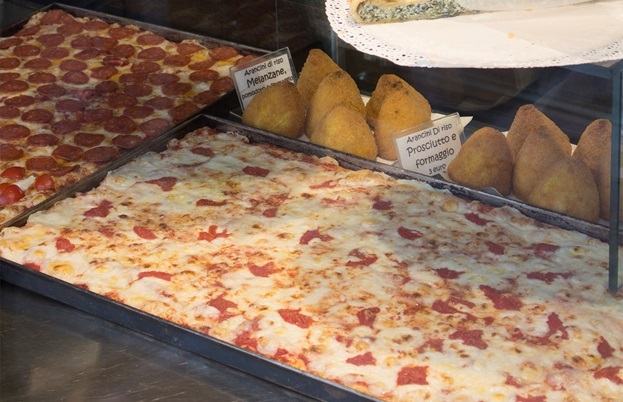 It’s worth noting that in Naples, round pizzas are sometimes folded in half and half again, wrapped in a paper napkin and eaten like a sandwich. 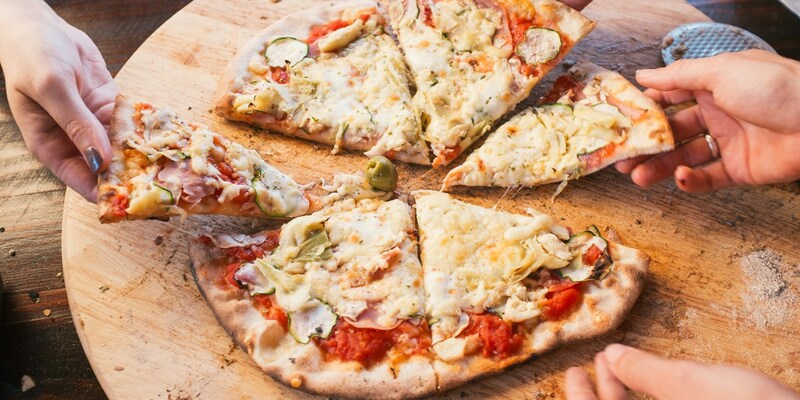 Even though the pizza has been appropriated as a national dish, Italians being Italians, they can’t resist putting their local twist on pizzas, so wherever you go you’ll find pizzas with local toppings. Almost all pizzerias serve margherita and quattro formaggi (four cheeses), but many of the other familiar pizzas such as quattro stagioni (four seasons), capricciosa (ham, mushroom and artichoke) and peperoni are not on the menu (it’s worth noting that peperoni actually means peppers of the red, yellow and green variety in Italian; the sausage would be called salamino). My local bar-pizzeria proudly serves 100 types of pizza, each named after a local hamlet or village, but you can ask for whatever you want. There’s also pizza bianca, literally white pizza, which in Rome refers to a pizza base cooked without toppings. In other parts of Italy this can mean a pizza without tomato sauce – a common Tuscan pizza variety replaces tomato sauce with truffle sauce for a totally indulgent experience. The final variation on the pizza is the calzone, which is a pizza folded in half and cooked rather like a large Cornish pasty. 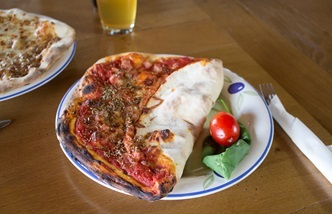 I recently had a pizza which was like a pizza-calzone hybrid; half had been folded and the other half not. Surprisingly, most Italians will drink beer with pizza instead of wine and, as in many parts of Europe, there’s now a renewed interest in artisan beer and a trend for microbreweries. Which all goes to make Sunday nights extra special.